Regardless of whether or not you're a country music fan, you almost certainly know the name Garth Brooks. The famed musician is married to another icon of that genre, Trisha Yearwood. While both still tour and remain popular performers, the latter can also be found cooking on Food Network, sometimes with her husband in the kitchen. While Brooks retired years ago, it was simply in favor of spending time with his kids, and he's since made a comeback. But getting ahold of his music has proven troublesome. That problem is now solved thanks to Seattle-based retailer Amazon. 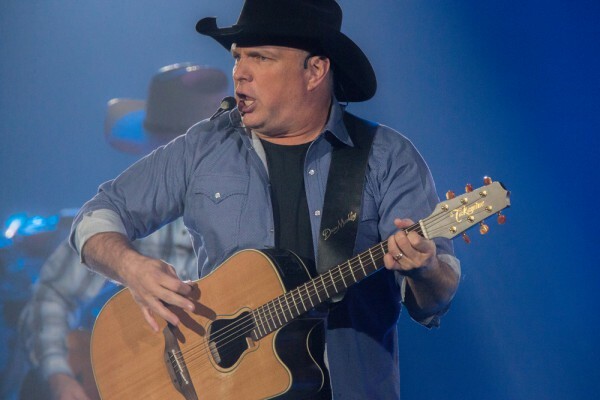 Garth's whole catalog is coming to the company's music service, and it's happening soon. "I hope my fans will enjoy this surprise holiday gift,” states the 2016 CMA Entertainer of the Year, Garth Brooks. “As we look to 2017, I couldn’t be more thrilled to have Amazon Music along for the ride on my upcoming tour as we go worldwide". Back In October, for the first time in his career, Garth made his tunes available on Amazon Music with the Diamond-selling albums, The Ultimate Hits and Double Live. He has since become one of the top-streaming artists on Amazon Music. Amazon has ranked his songs for popularity purposes, from most requested on Alexa, streamed, requested lyrics, and more. It's a treasure-trove of music history.